Vehicle Maintenance Saves You Time & Money | Tracking Systems, Inc. According to the General Services Administration, 1.3 billion of the federal government’s fleet spending went toward vehicle maintenance. Your fleet may not be as large as our federal governments but it shows you that routine vehicle maintenance is one of the most overlooked expenses in the industry. Failing to maintain fleet equipment could result in an immediate need for repairs or replacements. This may not be a crucial issue for larger companies, but for smaller fleets, this could cause major issues in cash flow not to mention the loss of time and income. Budgeting for preventative maintenance throughout the year can help avoid paying for repairs when you least expect them but they can do much more than that! Let’s break it down how routine vehicle maintenance can enhance your company’s performance as well as save you money. Improves Safety, Reduces Liability Claims & Accidents. When you put your driver behind the wheel, you are ensuring that they will return home safely. 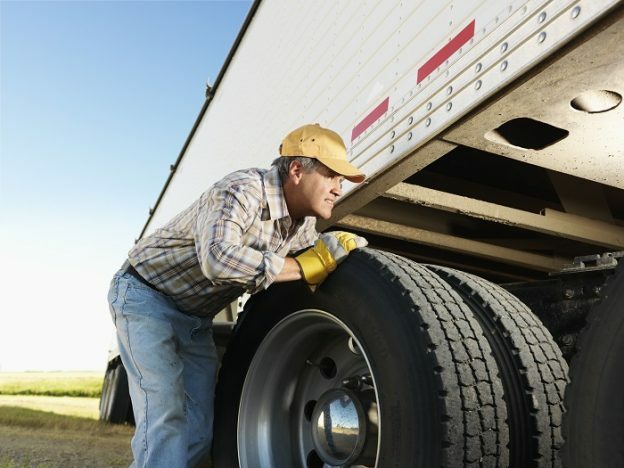 When a truck breaks down, it is not just a time waster; it can cause injury or even fatality. If this is the case and the accident is connected to poor vehicle maintenance, not only did you put others in danger, but it leaves your company open to lawsuits. That may seem like worst case scenario, but even being ticketed for having a taillight out will lose time and money. Routine maintenance will reduce those risks as well as limit costly repairs. It Will Reduce Downtime & Stress. Vehicles that don’t get serviced regularly are more prone to breakdowns and roadside failures leaving you with delayed or missed deliveries, need for costly repairs and employees on standby. Repair fees can reach into the thousands while regular maintenances fees let you catch the issues before they happen. You’ll be paying your employee for actually doing their job instead of waiting for the issue to be fixed. It will also take out the stress for you and your drivers. Fixing the small problems can keep your vehicle running in top condition for a longer period of time. Vehicles are one of the largest expenses and the longer you keep them on the road, the better it is for your company. Stay on top of oil changes and anti-freeze and it will extend your vehicles longevity. Tracking Systems wants to help fleet managers and the companies they work to increase productivity, reduce costs & improve customer service through route optimization. If you would like more information about Tracking Systems’ features and support, give us a call at 845-738-2200 or visit our website at www.track-sys.com.